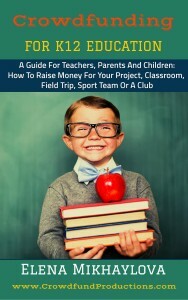 Crowdfunding for K12 Education – FREE BOOK! This is a short guide for those who are interested in raising funds for their school projects in the world of the Internet and social media. You can easily go through it during your lunch break. But if you are seriously considering launching a crowdfunding campaign, there is a lot of links to additional resources which will help you find the best platform, organize your team and create an effective marketing plan. Good luck! Sun has made a bold attempt, “today, at last, I will not set. I will shine all through the night, then you’ll see that I am right. But if I am to be mistaken, with the stars I’ll find my haven. 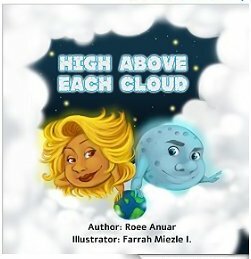 Roee Anuar’s debut book tells the tale of the sun and the moon, both trying to determine who is most preferred by the people of the earth, all with a language that respects children. This book was originally a gift for my 2 kids. I tried to use a rich language and encourage them to ask questions while listening to the story. To my surprise, it went better than I expected. My kids asked for the story again and again. At bedtime while reading the book, they started to remember more parts of it. Now they know the full story by heart. I want to share the joy of watching kids learn and add new words to their vocabulary. I hope you and your kids will enjoy it too. 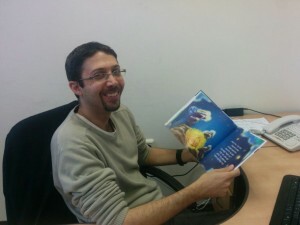 Roee is a father of two, VP of science in a start-up company, and a PhD student at Tel-Aviv University. He was raised without a father – who died during army service. He and his two brothers were raised by a single mother who believed in educating her children with fun, always buying books, workbooks and riddle books – all with the goal to give her children an advantage in life. She succeeded. All 3 of her sons finished engineering school successfully. And now, Roee as a father of two with his debut book, continues to inspire parents and children to bond and learn with a captivating story. The creator of mordellasfacts.net and author of Empowerment books: What every Woman should know about her Car before it breaks down: and New License-Driver, New Car: …brings you this new guide to boosting your brain power. In this book we will reveal ancient and proven healing methods derived from easily accessible and powerful foods. God has given us a yearly harvest of a variety of colorful fruits, vegetables, spices, and herbs to sustain and keep us in good health. By studying other cultures from around the world who eat an array of fresh colorful foods, cook with beneficial spices and eat fresh fruits daily we learn the formula for optimal health. These cultures are mostly free of heart diseases, brain tumors, strokes, high blood pressure, Alzheimer’s disease, and clogged arteries. 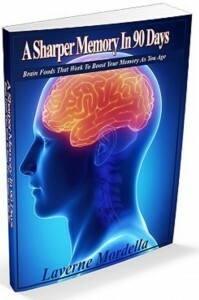 In this book you will learn about the herbs, fruits, and spices that nourish the brain. This book is a must read for baby boomers who want to learn how to preserve brain health, enhance overall health and preserve longevity. In these edition of the Empowerment Series, Laverne Mordella explores everyday concerns of ordinary Baby Boomers. Brain health is a big challenge for many in the 50 and over age group. 4. 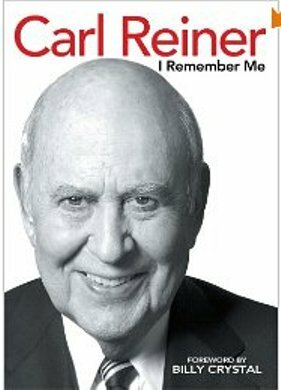 Healthy memories at age 90…What’s the secret? Read Faster by Understanding Faster. Don’t you hate it when reading takes so long… and yet you retain so little? Is this way of reading even worth your time? By learning to read with your whole brain — not just the slow, step-by-step, analytical left side that handles word-recognition, but also your fast, parallel-processing, big-picture right brain — you can reach new levels of reading and cognition. Learn to visualize whole ideas at a time, and turn reading into a truly engaging experience instead of a chore. Discover how to encourage the involvement of your powerful, silent, imaginative right-hemisphere and begin reading ideas rather than just words. Apply the conceptual abilities of your right brain to increase concentration, comprehension, and reading speed. Only faster comprehension, can lead to faster reading!! Reading IS comprehension. There is no reading without comprehension. The only way to really read faster, is by understanding faster. These new theories and techniques will have you reading faster by thinking faster. Read whole ideas at a time. Do you want to continue throwing your time away, achieving the same pitiful results, and remaining frustrated and bored with your reading? Tens of thousands of people have already used this method at readspeeder.com to improve their reading skills. Learn how these techniques work, and how to apply them to your own reading. Practice easily with the 20 uniquely designed exercises that will have you immediately reading whole ideas at a time. Plus, as a gift to you, there is a FREE BONUS of four downloadable PDF books. The full text of each of these books is prepared with the same special formatting as the exercises in this book, to give you even more opportunity to practice reading whole ideas. GUARANTEE: I guarantee you will find the information and exercises in this book original and helpful. 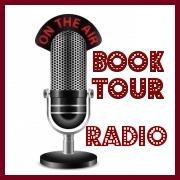 In the unlikely event that you do not agree, you may return the book within seven days for a full refund. 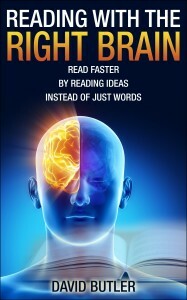 Get your copy of READING WITH THE RIGHT BRAIN today and start reading with all your brain. 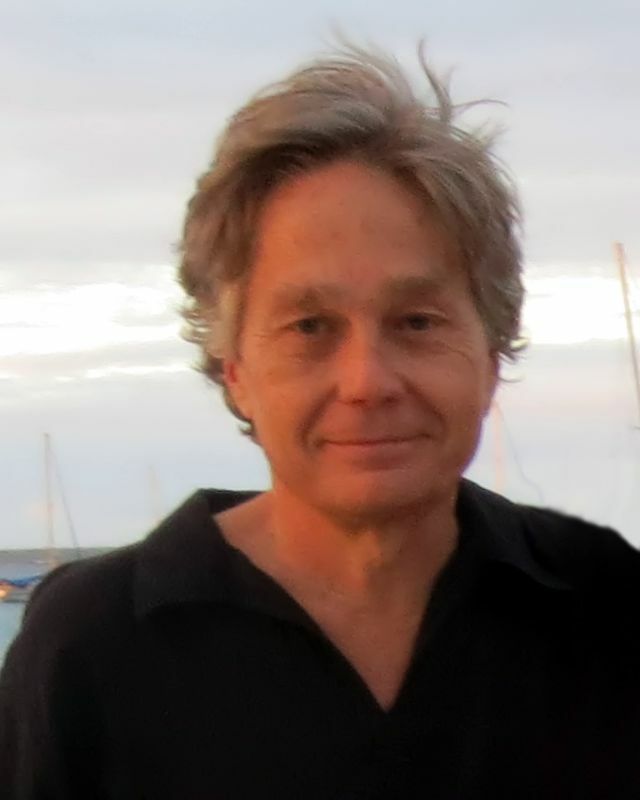 David Butler is a retired mechanical design engineer. He has applied his conceptual approach for solving design engineering problems, to developing a solution to his lifelong struggle with slow reading, and enjoys sharing this solution with others not only through this book but with the free course at www.readspeeder.com, and the free tool at www.phrasereader.com. Parents Grab this FREEBIE for a special Teacher in your Child’s life! 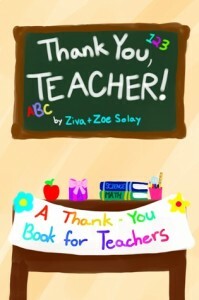 A THANK YOU GIFT BOOK FOR TEACHERS -Every Year in May we celebrate NATIONAL TEACHER DAY and TEACHER APPRECIATION WEEK. It is also common to celebrate and Thank teachers during year-end holiday breaks (like Christmas, Hanukkah, etc.) and Summer break. But we believe that EVERYDAY is a good day to say THANK YOU to a Teacher! PLEASE Share this FREEBIE with Teachers and Parents! 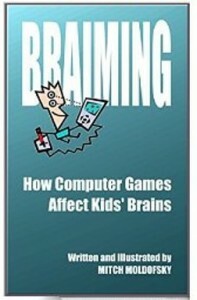 THIS BOOK IS AVAILABLE IN PAPERBACK for OFFLINE GIFT GIVING. How to Think Clearly: A Guide to Critical Thinking is an easy-to-understand, lively, and at times lighthearted introduction to the serious issues of learning how to think clearly and how to spot the difference between good and bad reasoning in the spoken and printed word. Dr. Doug Erlandson has written a book that is clear and straightforward enough that those who are interested in learning how to think clearly can read and understand it on their own. At the same time the book possesses the content and intellectual rigor that one expects in a text appropriate for an introductory college-level course in critical thinking. Drawing on many concrete examples of good and bad reasoning from the political and social realm as well as from day-to-day life, Erlandson explains the difference between an argument, an explanation, and a description, and then discusses the characteristics of good and bad deductive and inductive arguments. He follows this with three chapters devoted to spotting and avoiding various fallacies, including such common ones as ad hominem attacks, straw man arguments, red herrings, false cause arguments, equivocations, and the like. In addition to the chapters on arguments and fallacies, How to Think Clearly devotes a chapter to explanations, in which Erlandson discusses the criteria for distinguishing between adequate and inadequate explanations. The chapter on probability, in addition to discussing the topic in general, emphasizes the relationship between probability and rational decision making in real life, an issue seldom discussed in books on critical thinking. The chapter entitled “Fun With Numbers” shows how easy it is to misinform and even lie with numbers, thereby providing the reader with tools to question claims that have an aura of objectivity because of the presence of quantified data. The final chapter discusses ways in which loaded words and slanted descriptions can be used to create positive or negative attitudes toward individuals, institutions, and practices. 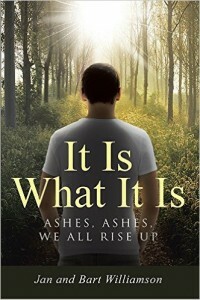 The book closes with a plea for fairness and civility in discourse and challenges the reader to put the quest for truth above the desire to see one’s position triumph at all costs. 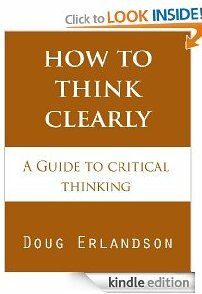 How to Think Clearly is based on Doug Erlandson’s nearly twenty years of teaching courses in logic and critical thinking as well as his observations of good and bad reasoning in many areas of life. This book will provide readers with the tools they need to critically assess the claims and counterclaims with which they are bombarded by politicians, pundits, commentators, and editors, as well as coworkers, friends and family. Finally, it will aid readers in developing skills to present their own views in ways that are clear, coherent, sensible, and persuasive…. 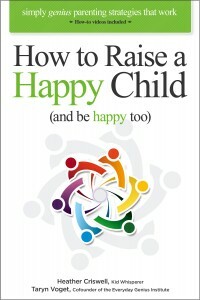 How to Raise a Happy Child (and be happy too) will make you feel like a parenting pro. You will learn exactly how to bring out the best in you and your child … every day. Crawl inside the mind of kid whisperer, Heather Criswell, and see how she discovered (over 25 years and 30,000 children) what works with every child, in every situation, every time. She, along with Everyday Genius Institute cofounder Taryn Voget, bring you extraordinary new thinking and approaches in working with children. And when you put these simple strategies into action in your own life, raising amazing children will suddenly feel so much easier and more fun than you ever imagined. In this groundbreaking book (with included “how-to” videos), you will learn simply genius strategies to get the results you desire with your child – without using the word “no” or giving time-outs, punishments, or rewards. You will be a parenting success with bedtime, manners, homework, sharing, mealtime, back-talking, disrespect, fighting, grades, lying, and so much more. You will have an opportunity to question your parenting assumptions and learn, step-by-step, refreshing new techniques to get the results you want. You will discover how to raise capable, self-reliant, truly happy kids in a stress-free environment. Heather Criswell (left) is a kid whisperer who has spent 25 years working with over 30,000 kids. She is a parent coach, a keynote speaker, and an author, sharing her unique approach and wisdom with families around the world. 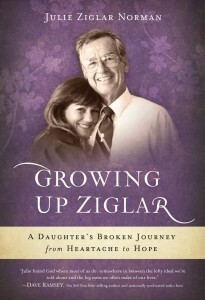 She is the co-author of the groundbreaking book How to Raise a Happy Child (and be happy too). 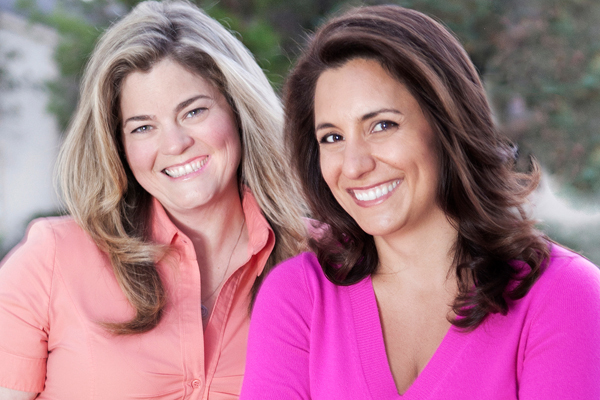 Taryn Voget (right) is the co-founder of the Everyday Genius Institute. She is the author of six books on strategies of genius, including her latest co-authored title How to Raise a Happy Child (and be happy too). She is a keynote speaker, a consultant, and a thought leader on genius and human potential.